This has been a busy week of gardening and cleaning out the flower beds. Spring cleaning is in full gear at our home! There is so much to do yet. I recently replaced the deck stair treads which were in sad shape and added copper solar deck lights, but the entire deck could use a good power washing too before we entertain guests. Our family loves eating and relaxing outside on the deck in the evenings. We all enjoy twinkling candle light at night and an easy way to achieve a pretty ambiance is with Simple Mason Jar Lanterns. Up-cycle those jars! I’ve been using Mason Jar Lanterns for at least a decade because they were so easy to make and affordable. All you need are mason jars (any size), votive candles, sisal twine, and water. Tie the sisal in a knot around the jar, leaving long tails. Use those sisal tails to tie the jar to lattice, fence posts, fence pickets, hooks, or nails. Pour a tiny bit of water into the jars and then carefully lower in a votive. The water prevents any wax from sticking to the jar. I’ve tried using sand also in the jars, but prefer the water. If my boys see sand then it’s sure to get dumped all over the deck also. The water makes for very easy cleanup too. 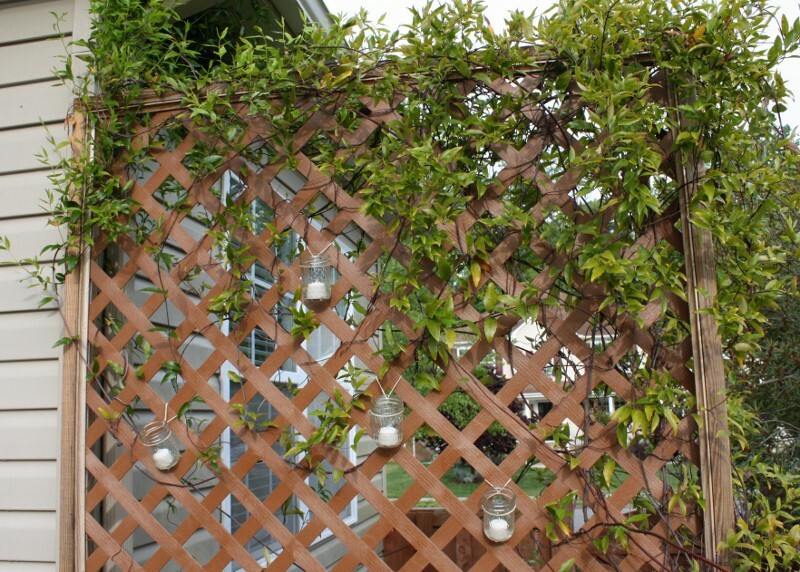 I hung several small jelly jars on our privacy lattice screen. 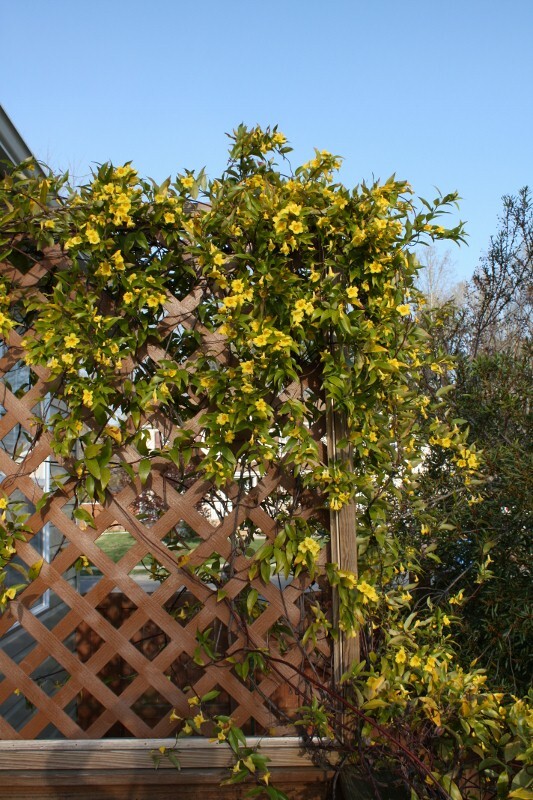 This season, the Carolina Jessamine Vine covered the screen with abundant blooms. Beautiful! Building the privacy screen was very easy. 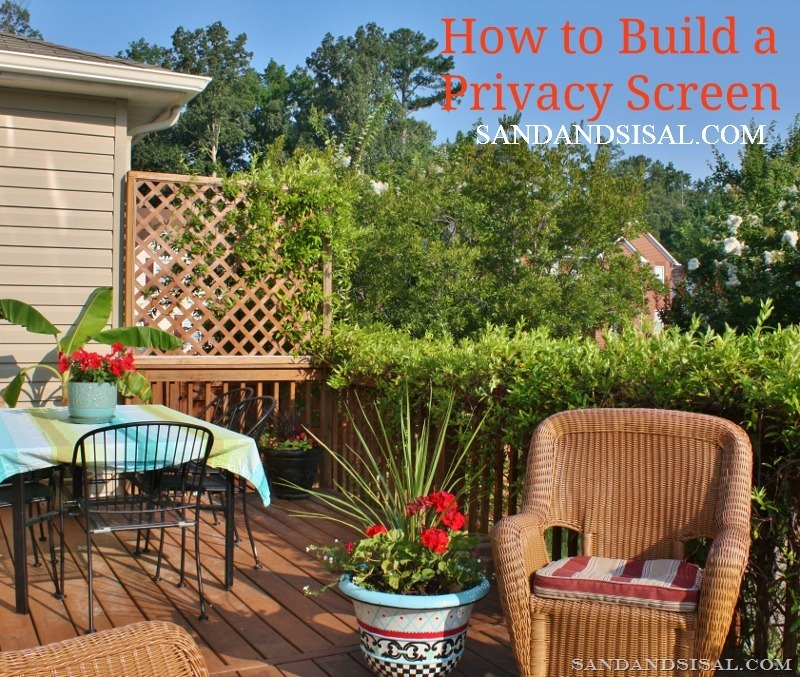 Click on How to Build a Privacy Screen for instructions. 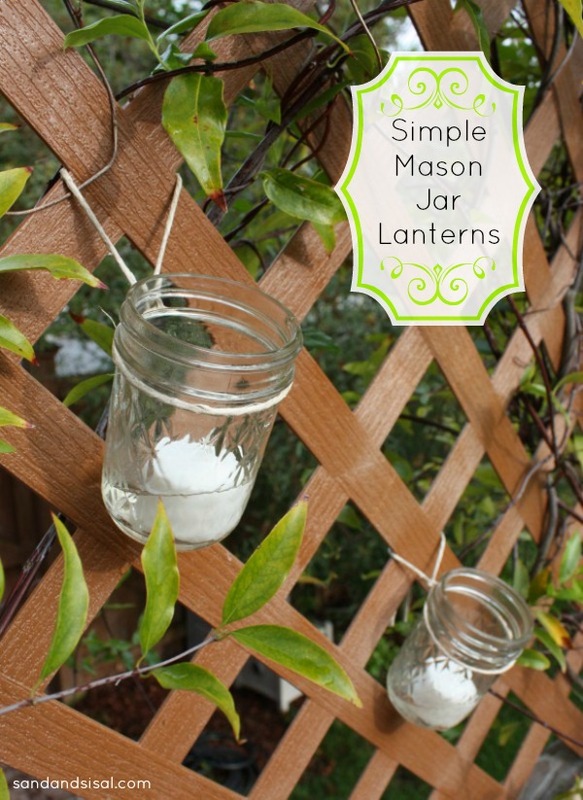 The mason jar lanterns are so lovely when lit at night and even attractive during the day. I’m not the only one getting ready for spring and summer! 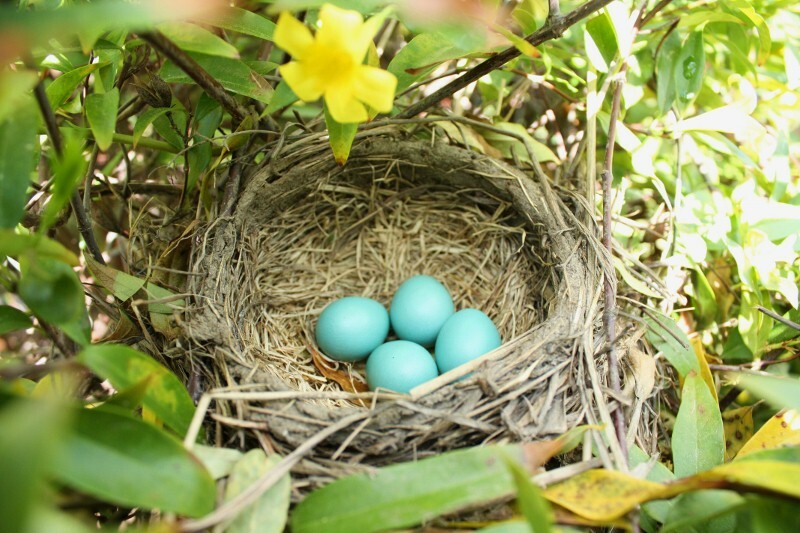 The kids found these sweet little robin’s eggs nestled deep within the vines. 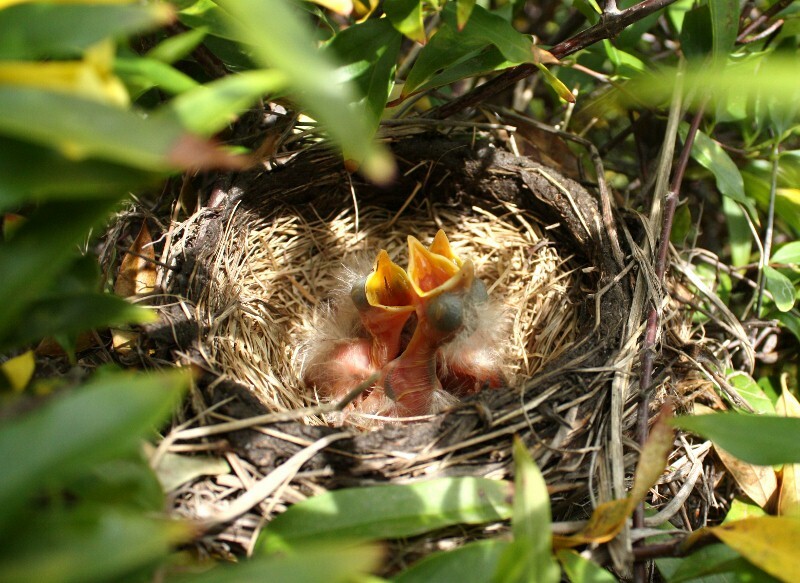 And with in a few days we had baby robins! Now if only we can keep the neighbor’s cat from discovering them. I wanted to show you one more clever idea that my friend Virginia from Sweet Pea made for her deck. She enjoys entertaining outside also. How cool is this? 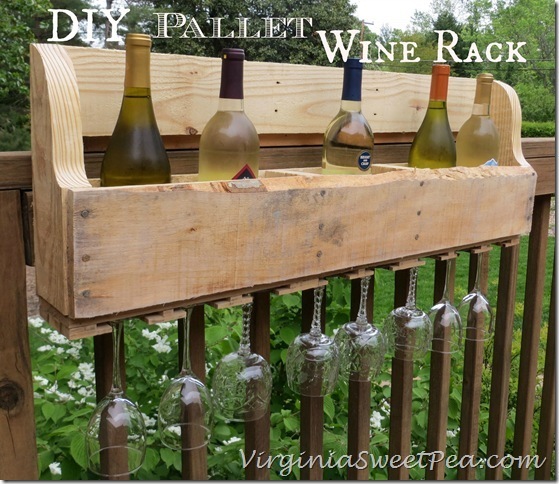 It’s a DIY Pallet Wine Rack! This is next on my list of projects to try. She give a detailed tutorial. Very creative don’t you think? Do you use outdoor lighting on your deck or patio? What type of lighting is your favorite? Love the new neighbors! We have a Carolina wren nesting in my wreath, so sweet. Would love to see a night time pic of those laterns. Bet the lighting they give off is serene and subtle. Pinned your privacy screen and your friends wine rack. 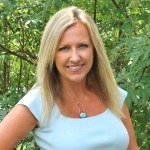 We are bidding on a fixer upper on OBX, righ on the water. Wish me luck. Thanks for all your great ideas and tutorials. What a great idea, Kim! I DO hate trying to get melted wax out of jars, vases, candleholders so thanks for the water tip. I adore the great photos of the eggs “before and after”…thanks for sharing those too. How are the babies doing? Hopefully the cat has not found them.